Steve brings over ten years of commercial mortgage banking experience to RPC. 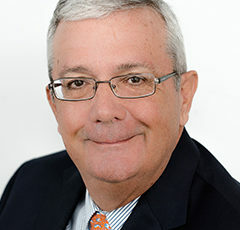 He began his career with the LJ Melody division of CBRE during which he developed national mortgage banking relationships that continue to this day. Subsequently, Steve originated mortgages at a regional mortgage banking firm and following that ran his own practice where he closed transactions with varied capital sources including life insurance company lenders and banks. Steve has developed a specialty in serving local entrepreneurial commercial real estate investors and developers. Steve has originated, underwritten and closed over $300 million dollars in mortgage debt for his clients. He is experienced in office, retail,industrial/flex as well as multifamily and hospitality. Steve holds a BA in Political Science/Public Administration from Bloomsburg University and resides with his wife and two teenage boys in Chester County, PA where he enjoys volunteering for various youth sports organizations.